Raung (East Java): With a small group we climbed Raung during 14-15 August 2015. 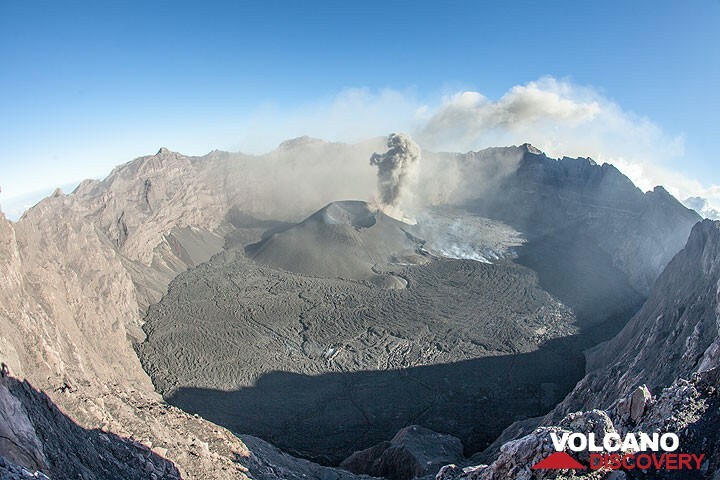 We might have witnessed the end of the large 2015 summit eruption, which during June-early August produced large lava flows, lava fountains and significant ash plumes. Cotopaxi (Ecuador): No new explosions of significant size have occurred at the volcano during the past 48 hours. Seismic activity remains elevated and suggests that smaller ash emissions continue, however. Ecuador's ministry of civil protection maintains yellow alert for the communities of Francisco, Rumipamba, San Ramón, Mancheno, José Guango Bajo, and San Agustín del Callo (Mulaló).